2013 has seen a number of films promoted solely on the strength of their lead actors. This statement probably doesn’t seem that outrageous, as most films are pumped into your subconscious thanks to their leads. What’s more atypical about 2013 is the number of films that have missold you on these leads. The films that spring to mind most prominently? Side Effects and GI Joe: Retaliation. Funnily enough, both films pimped out Channing Tatum as a drawcard. Too bad his performances were… cut short, shall we say? Yes, cut short in both films. He shouldn’t have been sold as a ‘star’ of the movie, as he rivalled Anne Hathaway in Les Misérables for sheer brevity. So, we now come to The Place Beyond The Pines – another film that’s sold heavily on ‘featuring Ryan Gosling‘… I think you know where I’m going with this review, right? 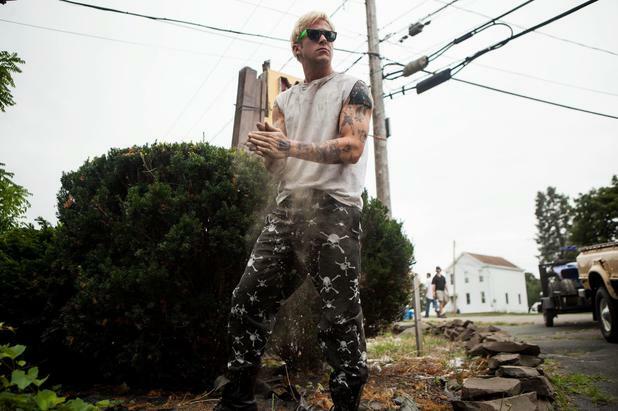 Briefly, The Place Beyond The Pines is set in Schenectady, New York – a place of no hope for many. Our ‘protagonist’ Luke (Ryan Gosling) is a stunt bike rider with the travelling carnival. His stopover in the town reveals that on his last ’round’ he got a girl (Eva Mendez) pregnant and now actually has a kid… Wow, quite a revelation! So Ryan jacks in his job and decides to hang around. But how will he make his money? Bank robbery of course! 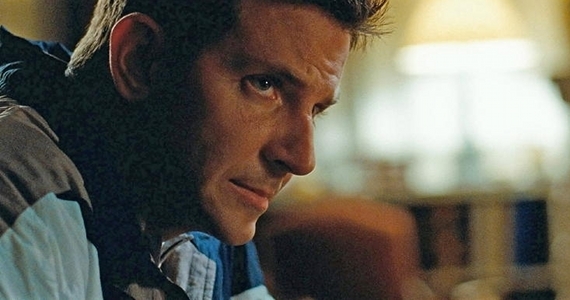 This leads his life to crash into that of Avery – a local beat cop (Bradley Cooper)… And the story unfolds. That description would be fair to summarise the first third of the film, as the film truly is chopped into three different stories focusing heavily on Gosling, Cooper and their respective sons Dane DeHaan and Emory Cohen. The trouble with this is that screen time is cut down a hell of a lot for all of them. Want your Gosling fix? 45 minutes. Cooper? 45 minutes? Others? Oh come on – you didn’t come here for the others did you? And this is the crux of the problem – you’ve come to the cinema for the two leads. You expect to see your two leads a lot! Gosling came onto my radar solidly with the 1-2 combo of Drive and Crazy Stupid Love. I thought he was fantastic in both and I couldn’t wait to see what he did next. But since then? A lacklustre showing in Gangster Squad. I’ll pass. Having said that, I thought that his screen time was used well here and he was almost back to his Drive form. Gos-worshippers will be glad to hear he once again gets his top off and he does, once again, look ripped. So add a star onto my score if that figures highly in your enjoyment of a movie! Now let’s move to one of my favourite actors – Bradley Cooper. Many regular Film Phage readers will know I bloody love this guy. He’s been going from strength to strength with recent performances, and he was rightly nominated for an Oscar this year for the brilliant Silver Linings Playbook. The Place Beyond The Pines is another shining example of ‘new’ Cooper. The guy that’s not playing the jock, the bully or the cocky one. In fact, his character here is thrust into the limelight and he plays humble and worried with great vigour. Although I’m a fan, don’t think that I won’t criticise the guy… But he doesn’t merit it here. It just fuels my excitement for his next on-screen appearance, which I guess will be The Hangover: Part Three. Sure, it’ll be a return to his ‘roots’ (not Hot Wet American Summer roots – his first film… that was awful) but his cocky roots. Bring it, Brad. So after my gushing, let’s return on track. The real reason this film came unstuck for me was the erratic plot weaving. The writers have tried to be clever and weave a ‘sins of the father’ circle for the film, but it comes across bloated and messy to follow the three different, but interlinked, stories. I’d rather have just seen stories 1 and 2 expanded and skip over the third act altogether. That third act just kept on going, with a dissatisfying conclusion too. Nothing can spoil a movie more than a seemingly half-baked ‘open’ ending. The Place Beyond The Pines typifies this beautifully. If you add this onto the fact that our stars only feature for a modicum of the overall running time and the film becomes incredibly frustrating. A frustration that is once again compounded by the previews and trailers for the movie that make it out to be an exciting film about bank heists… It is about bank heists. For about 30 minutes. Why do you do this to me Hollywood? Why do you get me so excited only to let me down at the last minute? It’s like promising me the most delicious, authentic pizza from northern Italy and only delivering me a slice of Bob’s Kebab World’s pizza that’s clearly fallen on the floor several times… You can’t tell I’m in Italy now can you?! The Place Beyond The Pines promised a hell of a lot, but delivered remarkably little. It’s lead performances from Ryan Gosling and Bradley Cooper are strong but are ultimately undermined by the bloated plot and restricted screen time for them both. Once again, hype has got in the way of a movie for me, thanks to artistically edited trailers. Let’s try and be a bit more honest from now on ok? So although The Place Beyond the Pines doesn’t once again resign poor Channing Tatum to the cutting room floor at an early point, it does again play into a recurring theme of 2013 – false advertising. Next you’ll be telling me that Bradley Cooper‘s not actually in The Hangover: Part Three. 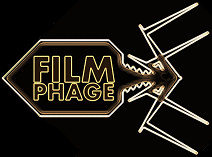 Let me tell you this now – if that’s the case, you’re going to see one hell of an enraged Phage come the end of the month! Equally, if I don’t find some pizza in the next 30 minutes, we’re also going to have a problem here… Coops and pizza: my sedatives. This entry was posted in Review and tagged bank heist, Beyond The Pines, Bradley Cooper, corruption, crime, Dane DeHaan, drama, Eva Mendez, motorcycle, police, Ray Liotta, robbery, Ryan Gosling. Bookmark the permalink. Haha! Enjoyed this review very much Phage. I’ve been looking forward to this one as I liked Cianfrance and Gosling’s previous delivery, Blue Valentine. I wasn’t expecting a big heist movie from this either, but then, I don’t watch trailers for the very reason of being mislead. I’ve heard decent things about it so far but you’ve given a great account that has me thinking that I shouldn’t get too overly enthusiastic. Nice one, man. Cheers Mark! Yeah, I think I went in with too lofty expectations. It was solid, but otherwise unremarkable, especially owing to that lengthy third act! I’m just awaiting Only God Forgives to really bring Gosling back to the fore… that should be special! I felt the same way about the film as you. The part of the story wasnt needed. Like you said they should have expanded the first two stories. Good review. Totally! I also found that last “kids” story a bit dull and predictable too, which totally killed the flow of the film for me. All I wanted to see was more Gosling and Cooper in something that wasn’t a photo of them. Was that too much to ask!? Good review. Some of it worked, and some of it didn’t. The parts that didn’t work out-weighed the bad ones, but it was a close-call in my opinion. I think it seems to be polarising. I didn’t mention how lovely some of the shooting was, but after the “shock” of what happened at the end of the first 1/3 of the film (the only way I can remain un-spoilery), my enjoyment was sedated somewhat. I feel differently. First off I never watch trailers and although I do like to see well-known actors, to me it’s story first, actors second. So if some are not used during a whole movie that’s not a problem. I loved the fact that the opening was so strong, reminding you how the others were still busy with those events. It also managed to portray the passage of time very strongly, normally the loss of someone is not portrayed so well in movies. I can imagine it not meeting expectation if you would base it on the marketing/trailers. I think the movie needed such a strong opening to leave a lasting impression, you know what type of man Gosling’s character was and see that the kid kind of looks at him like a hero, which he clearly wasn’t. I understand though why you might think it is anti-climatic, but I never felt the need for more adrenaline filled sequences like the beginning of the movie had. Sounds like the reviewer paid more attention to the stars than to the film. Also the synopsis is really flip; “…how will he make his money? Bank robbery of course!” – no, that’s not how the story was told. It was more like an act of desperation he was talked into after running out of options. It was a really beautiful film, and I don’t care how many minutes I got to see each name actor for.